31243 IWC 5035 Annual Calendar IW503502 5035-02 503502, stainless steel on a strap with a stainless steel deployant buckle, automatic IWC caliber 52850 movement, annual calendar, 7-day power reserve display, small hacking seconds at 9 o'Clock, blue dial with applied silver arabic numerals, steel hands, sapphire crystal, display back, water resistant to 30 meters, diameter: 44.2 mm, thickness: 15.3 mm, Like New with Box and Papers; which are stamped but undated. 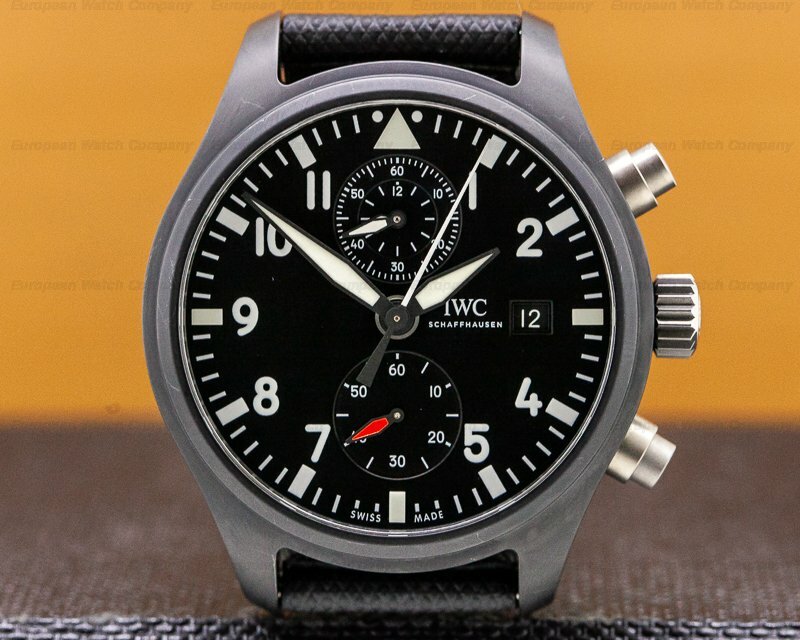 This is a stainless steel IWC Portuguese Annual Calendar, reference IW503502. It has an alligator leather strap with a stainless deployant buckle, and a scratch resistant, arched-edge sapphire crystal. There is a screw-down exhibition sapphire display case back. The 44.2mm diameter solid three-body case, downturned lugs, and stepped rounded bezel are polished. 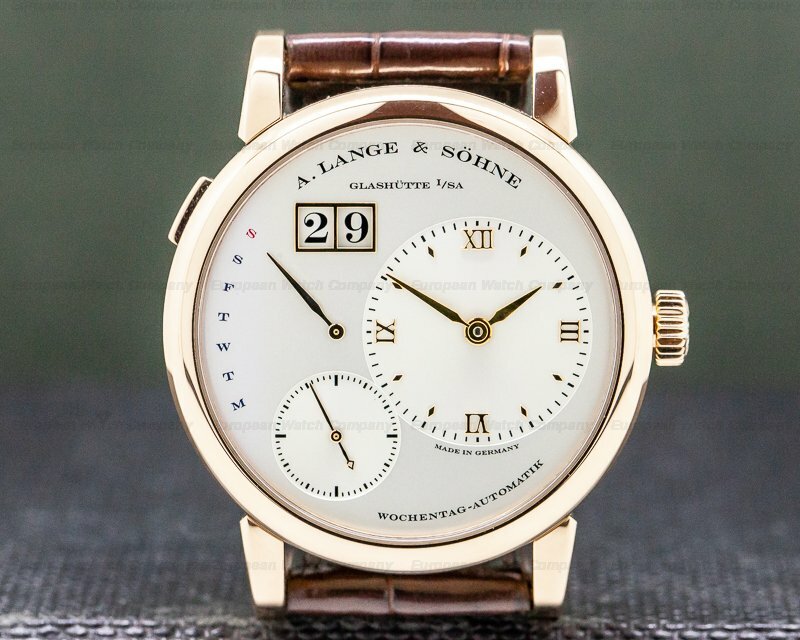 The dial is blue with applied silver Arabic numeral hour markers, baton indices, steel feuille hands, and an outer railway-style minute ring. The annual calendar is displayed in an arch with three aperture windows at the 12 o'clock position, including the month, date, and day. 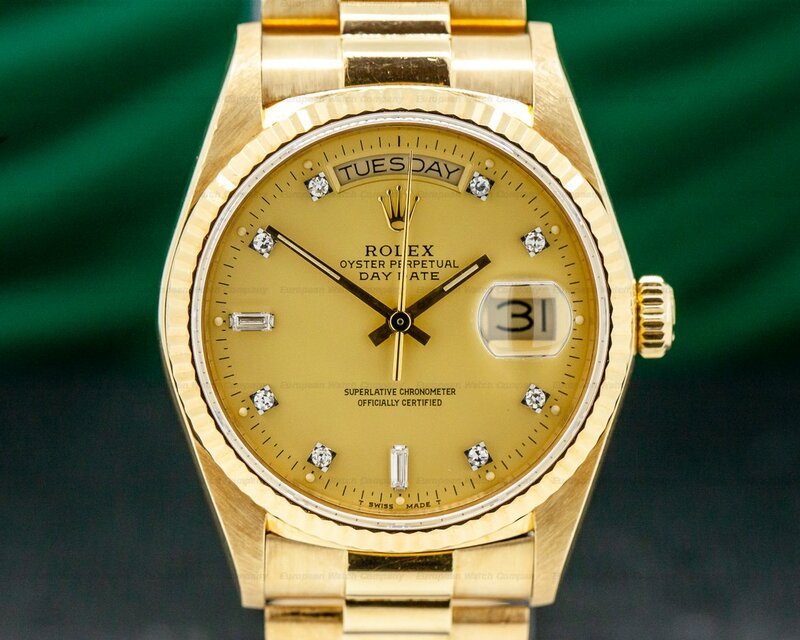 The mechanism automatically measures the different lengths of individual months; only February and the leap years require corrections manually using the crown. 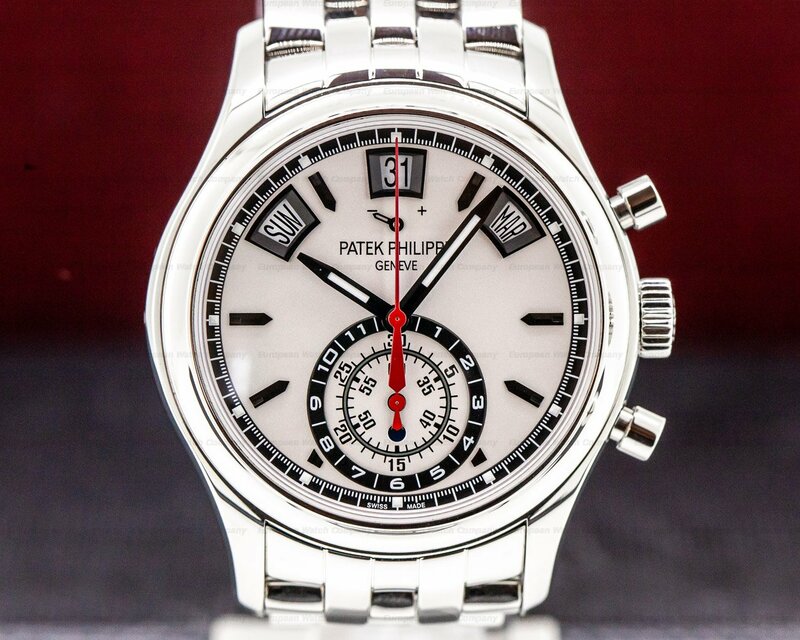 There is a small seconds subsidiary dial at 9 o'clock, and a 7-day power reserve sub dial at 3 o'clock. 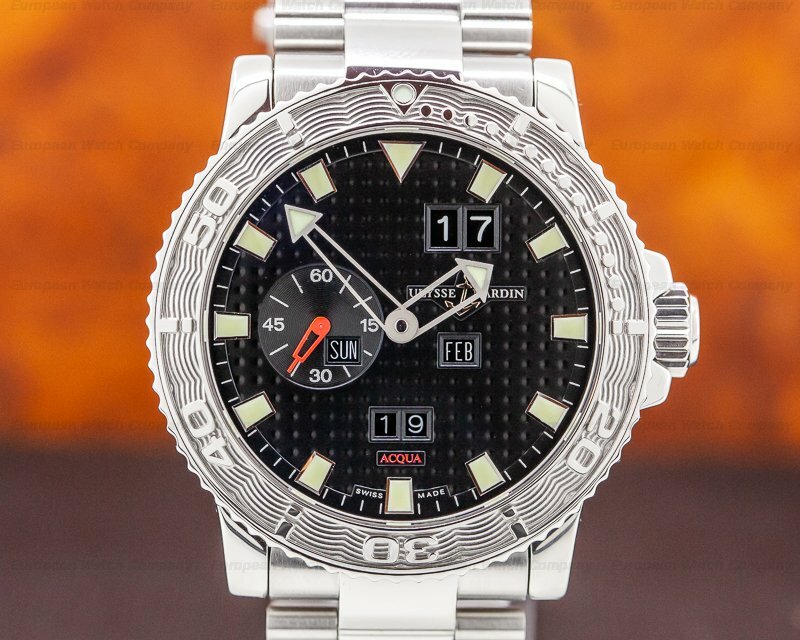 It's water resistant to 30 meters/100 feet, and the 15.3mm thick case, dial, and movement are all signed. The mechanical automatic self-winding IWC Pellaton caliber 52850 movement is rhodium plated. It's constructed with two barrels and a shock absorber mechanism. It includes a Glucydur®* beryllium alloy indexless balance with high-precision adjustment screws on the balance rim. 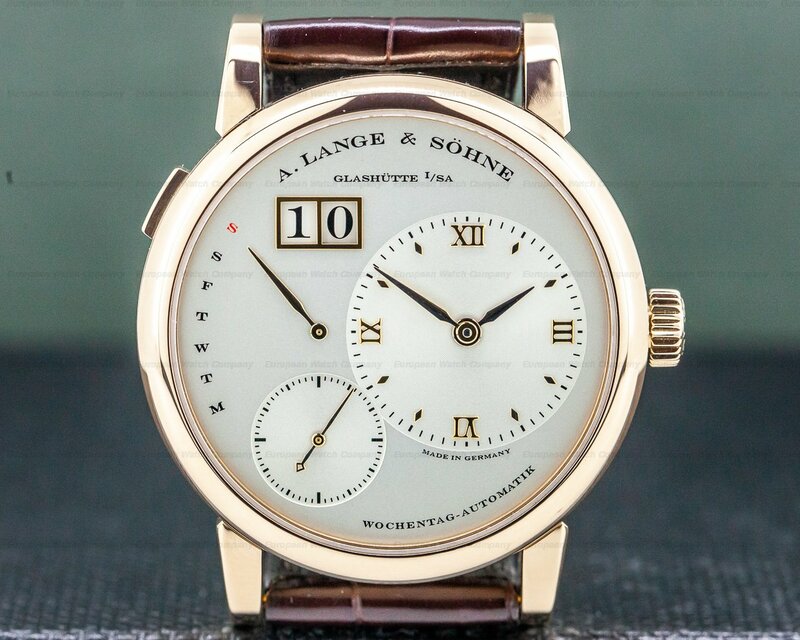 It has a Breguet flat-balance spring, and a rotor with an18-carat gold medallion. This IWC Portuguese Annual Calendar, reference IW503502, was introduced in 2015.